It was close to the city center, rooms were clean, every single bed had it's own power outlet. Staff is friendly and helpful. The location is above a small main street. As a note, the hostel is on a hill so people who have rolling luggage might struggle a bit. Main showers (probably about five in the women’s showers) on the ground floor were clean and brightly lit. The staff. They're simply amazing. There to help you with everything they can. Oblidged. Location and value. Great kitchen facilities. Nice crowd. Nice environment of the shared spaces with promoting the contact with other guests. Good showers and cleaning standard. Perfectly placed, well-staffed, and we’ll-kept! This hostel was both the strangest and most interesting place I have stayed in in Ireland. First the positives: The location is unbeatable. The price is unmatchable. And the staff are incredibly accommodating. My stay in Cork was definitely enhanced by choosing Sheila’s. Location was in a key spot for pubs and bus/trains. Hilly walks good for the legs. Good eats down by St Patrick's hill, with Corner pub and Sin e traditional there too. Bus to Blackrock worth a visit- or walk it in one hour. English Market over rated, though local honey worth the visit.Crawford art gallery good. A great banter town! 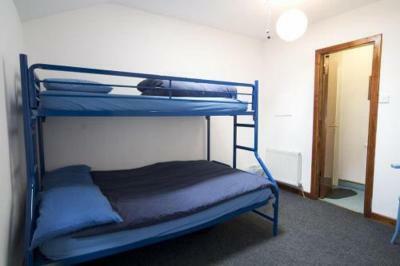 Sheila's Cork Hostel is less than a 5 minute walk from the center of Cork. It has a sauna, and offers free Wi-Fi, free city maps and free movies in the movie room. Sheila's Hostel is a short walk from St. Patrick's Quay and Cork Opera House. The bus and train stations are very close by. The movie room has lots of comfortable bean bags to sit on. Films are shown every day on a 42-inch plasma-screen TV. There is a self-catering kitchen and a terrace. As well as free Wi-Fi, low-cost internet use is available from the hostel's own computers. Sheila's Tourist Hostel won a "Recommended" award by "Let's Go" in 2008. When would you like to stay at Sheilas Tourist Hostel? 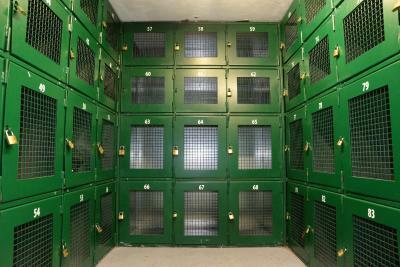 Each guest has a personal locker and an electronic room key. Free Wi-Fi is also available. Includes private bathroom facilities. Free Wi-Fi is also available. House Rules Sheilas Tourist Hostel takes special requests – add in the next step! Sheilas Tourist Hostel accepts these cards and reserves the right to temporarily hold an amount prior to arrival. The place was clean. We met nice and welcoming staff. The sound insulation is bad. The sound from the washroom can be heard clearly in the 6-bed female dorm besides it, therefore was annoying. The staff is helpful. A decent and useful kitchen with utensils and cooking ware for everyone. Killer hill to get there! 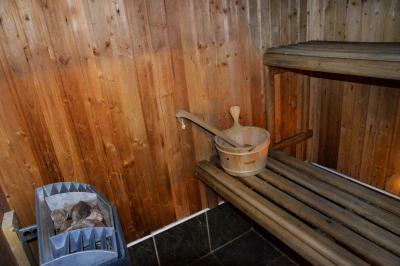 Good facilities, including a sauna! Great value for money. Good location. Lovely staff. The staff was very friendly! Before heading into the city the staff gave us a map and told us a few recommendations and the best way to walk. Beds didn’t make a noise when moving which is a great +! Breakfast was cereal, toast, T/Coffee. Did the job. Very good. During my stay some guests made a lot of noise at around midnight. 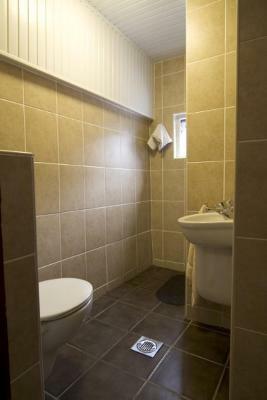 Very friendly staff, good location, good shower facilities. The staff were friendly and all the facilities were clean. The 8 bed dorm we stayed in was quite small with squeaky beds and we were stuck in a bed in the middle of the room where we could almost reach all 3 of the other beds it's that crowded. No lockers. 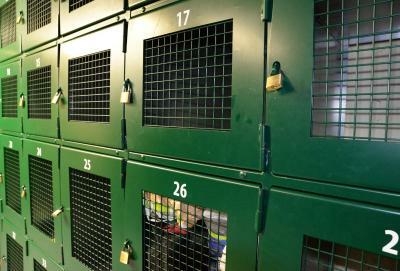 If you wanted to use a locker you had to pay at reception. The place feels like it needs a little bit of love, we peeked in the cinema room and it appeared to be full of boxes and people sleeping which was not inviting at all. Parking in Cork is a bit of a pain, having to rely on scratch cards that are only good for 2hrs or you have to park quite a way away at the train station. Bathroom's need a rubbish bin. It's in a location within walking distance to most sights of Cork and its up on the hill so if you get a room on the front of the building you have a pretty good view. Has quite a few common areas spread throughout the building. Dorm beds have individual power points although only 1 of the 2 on our beds worked. Perfect location. Comfortable beds. Lots of toilets/ showers. Clean, organised & The house is fresh and refurbished. Everyone respectful. Excellent breakfast- no need to go The few minutes to city- That would be more expensive. The cheerfulness and wonderful cordial relationship of the staff. On all the shifts they were amazing. Keep it up. Parking costs 20€ per night if you add this to the price you can also take a B&B where parking is included and probably have a better stay. Its not really bad here just to expensive for what it really is. Its a hostel, cheap, noisy, good for a night. 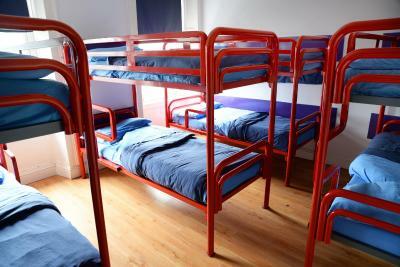 For a hostel it is quite good, industriell kitchen well organized but pretty big and annonymus.